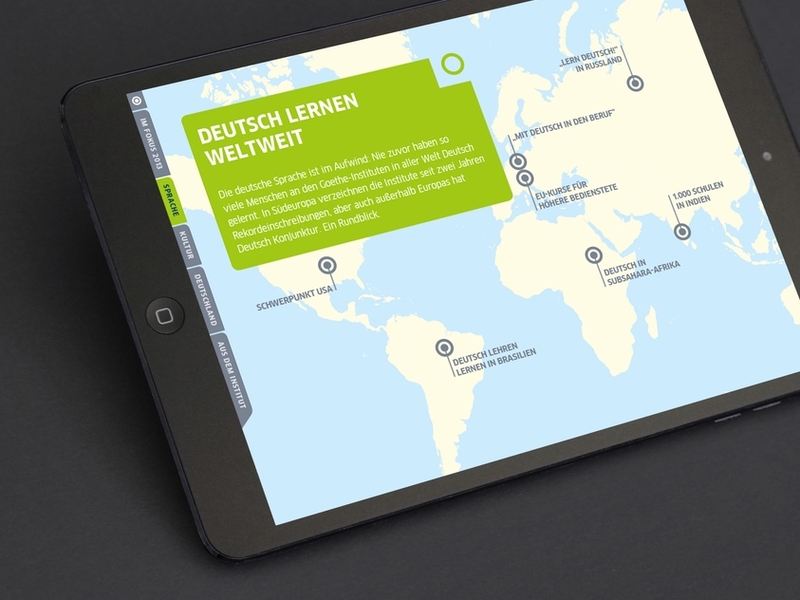 "A VISUAL TRIP AROUND THE WORLD"
The Goethe-Institut is the Federal Republic of Germany’s cultural institute, active worldwide. DOMINE drafted and produced an interactive yearbook: one year of activity reviewed in texts, images, videos and interactive charts. A visual trip around the world.